Budget hospitality chain OYO has bought Mumbai-based Internet of Things (IoT) technology company AblePlus Solutions Pvt. Ltd to bolster its technology portfolio, marking its second acquisition. The acquisition is aimed at creating an artificial intelligence- and IoT-based tech infrastructure for managing hotels and assets, OYO said in a statement. It didn’t disclose the deal value. OYO, operated by Gurugram-based Oravel Stays Pvt. Ltd, had marked its first acquisition in March when it bought Chennai-headquartered service apartment company Novascotia Boutique Homes. AblePlus was founded in 2016 by Akash Goel and Bonish Gandhi. It develops IoT systems for the hospitality industry. The startup has created and deployed a slew of solutions such as internet-managed smart access control for properties, remote monitoring and control of utilities and asset fencing to detect theft of items in real time. The duo’s previous venture was HandyHome, a home appliance repair and servicing company which was acquired by home services marketplace UrbanClap. HandyHome had raised $500,000 in seed funding from Bessemer Ventures and Kae Capital. OYO said the implementation of IoT-enabled operations will help customers to check-in by themselves. The company also plans to introduce voice-based assistance in hotel rooms, automation for controlling appliances and lights and implementing a guest entertainment programme. “Through increased technology intervention that enables the remote monitoring and management of rooms across properties, we will be able to achieve improved operational efficiency, thus creating a superior stakeholder experience,” said Anil Goel, chief technology officer at OYO. The company, founded in 2013, initially aggregated hotel rooms under the OYO brand and blocked a few rooms in partner hotels. Under this model, OYO had around 70,000 rooms under its umbrella in just three years. In January, OYO founder and chief executive Ritesh Agarwal told VCCircle that OYO was on-boarding 10,000 rooms a month. He said OYO had repositioned itself as a franchisee/hotel operator and was moving its whole inventory in that direction. OYO is the firm’s budget brand and follows the marketplace model. Townhouse, which OYO launched last January, is a managed hotel brand positioned as a friendly neighbourhood accommodation. OYO Home is its homestay arm. The company has cumulatively received around $473 million from investors. Last September, OYO raised $250 million (Rs 1,600 crore then) in a Series D round led by existing investor SoftBank. Its post-money valuation when it raised funds in 2016 was $500 million. The same month, China Lodging Group Ltd picked up a stake of less than 5% in OYO for $10 million as part of a strategic partnership. 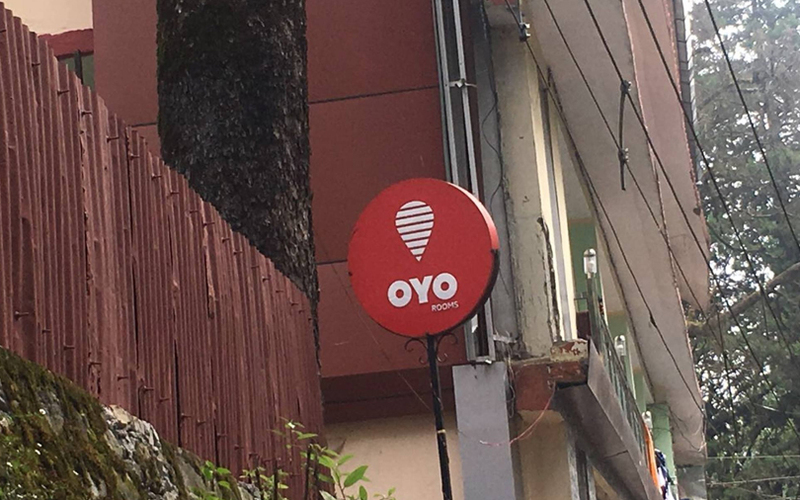 OYO had announced its foray into China last month, marking its expansion to a third international market after Malaysia and Nepal. The company said it has more than 11,000 exclusive rooms in 26 cities across China. OYO operates in nearly 150 cities across India, Malaysia and Nepal and has over 5,000 hotels in these countries.